Welcome to The Strategist Six, a feature providing a glimpse into the thinking of prominent academics, government officials, military officers, reporters and interesting individuals from around the world. What are the lessons from the Marawi siege and how did it differ from the siege of Zamboanga City by the Moro National Liberation Front in September 2013? The Marawi Siege was bigger in both scope and magnitude with more enemies, a larger urban battle ground with tall concrete buildings and many more IEDs and snipers. Tactics, techniques and procedures became more sophisticated with the use of quadcopter drones for ISR. More civilians were affected and many more structures destroyed. The Maute Group and ISIS became increasingly barbarous and brutal, lacking any reasonable comprehension of humanity and compassion. Gaps in urban warfare skills were identified by both the Secretary of National Defence, Delfin Lorenzana, and President Rodrigo Duterte. Training and reconnaissance assistance, provided particularly by Australia, was based on experience gained in Iraq and Afghanistan. How has the capability of the Philippines military improved? It has improved a great deal. 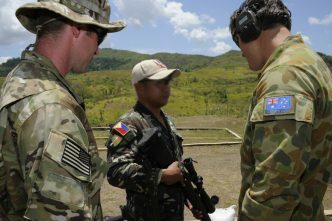 We now have better equipment than in Zamboanga— more protective armour and better fighting and defence techniques for combat on the ground and in the air. The use of drones in a highly urbanised battle was a particular challenge. Our technical improvements did not guarantee success as our enemies sought refuge in concrete buildings. Both sides learned lessons from the Zambo Siege. I felt the improved logistics process flowing down to our soldiers who were often required to enter tunnels and foxholes. But more than the hardware, our men showed much greater leadership skills on the front lines and the audacity and determination to prevail at all costs. Ground commanders led from the front and morale was high. There were shortcomings but most were offset by initiative, innovation and ingenuity and the determination of our soldiers to get the job done. What’s the risk of an ISIS caliphate being established in the Philippines or elsewhere in the region, given that combatants who escaped Marawi could regroup? The Philippines is strategically located and transit through the region is relatively easy. Had ISIS succeeded in establishing a Caliphate in Marawi, neighbouring countries with large Muslim populations would more easily become prey. It will now take years for these groups to pose such a threat again considering their losses of fighters, leaders and high powered weapons. They also fought without our convictions. Many were paid to fight. What was significant about their weapons and tactics, and with 165 soldiers and police killed and 1,767 wounded, along with 87 civilians and 920 militants, do you feel that casualties in Marawi were high? They forced hundreds of hostages to dig tunnels, they used sewerage systems and placed IEDs everywhere. They forced civilians to steal food and money for them, to ransack stores and to find medicine. They used them as medical assistants and nurses for their wounded. They converted captives to Islam and forced them to fight on the front line. If they refused, they’d be killed. They used people as shields. They used a vast network of tunnels, including the sewerage system and septic tanks. Elderly hostages were forced to make IEDs. Younger hostages were used to run their errands. Many women were physically abused and violated. The Maute Group used illegal drugs as evidenced by the 12 kilos of shabu we recovered. They targeted Christians as hostages while Muslim prisoners were released through a ‘corridor of Peace’ during a truce used to open the way for negotiations. The aim of this psychological warfare on a civilian population was to establish Wilayat (religious authority) to gain more money, finance and resources. We strive to protect the lives of our soldiers and of civilians trapped in a battle zone which is the main reason the siege lasted five months. We were determined to minimise the number of lives lost and the amount of property destroyed. Otherwise, we could have drawn it to a conclusion much earlier. The siege was the bloodiest battle our armed forces have faced in recent history. But more than half of our wounded volunteered to return to the fighting. We rescued 1,777 civilians and recovered around 900 high powered firearms. The 920 terrorists we neutralised included 32 from Malaysia, Indonesia, Yemen, Morocco, Saudi Arabia and India. How are these groups funded? Monitoring and policing terrorist financing is very difficult in a country like ours where borders are porous and where the immigration system is weak. However, our eyes are focusing on the madrasas where recruitment and radicalization could occur. Also, Filipino workers working at Middle East are vulnerable to radicalization. We have some two million Filipinos working there. Many are poorly paid and treated and the environment is conducive to recruitment. Yes, if we refuse to learn its lessons. Support and cooperation from the local populace is important so that we can gather information on extremist activities to properly track their activities and locations. 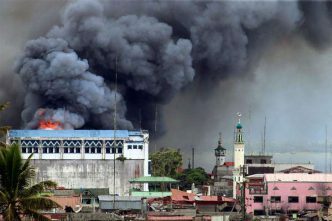 Marawi will happen again if we fail to understand the culture of Muslims in our country. We need to know why some Muslim citizens easily fall prey to recruitment and radicalization. This, unfortunately, is the result of a long history of struggle and social treatment and a need for recognition. The future hinges on rectifying this. (Muslim traders first reached the Philippines in the 13th century before Islam established itself in the 14th century at least 200 years before the Spanish introduced Christianity). There’ll be another Marawi-style siege if we don’t strengthen our immigration procedures, our maritime border patrols and regional cooperation. It will happen again if our political leaders do not stand firm, committed and strong in the fight against this extremist ideology. Thwarting the ISIS threat is not for the military alone. Everyone has a role to play, and a task to perform—politicians, youth and religious leaders, teachers, students, social workers, family and friends working together and fighting back as one. The Maute Group is trying to recover by recruiting new members, mostly relatives and orphans of those killed. It is unlikely to repeat the Marawi attack elsewhere in Mindanao soon as they have yet to recover their capabilities in terms of manpower and firearms. By and large, the Philippines may still be viewed as a centre for jihad in Southeast Asia, as proclaimed by the ISIS, in the context of its objective of establishing a religious state. 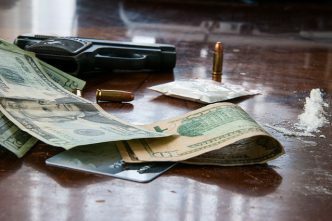 Foreign militants provide the opportunity to obtain funding from foreign terror organisations. This is evident with the influx of foreign fighters arriving from Indonesia, Malaysia, and Syria and other countries in the Middle East to join with ISIS-inspired recruits in the Southern Philippines. Thus, the influx of foreign fighters to the southern Philippines is likely to persist. Rebuilding Marawi, is a priority. 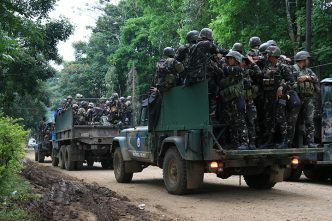 The government’s commitment to infrastructure building across the nation, including in the south, reconstituting a new Bangsamoro Transition Commission to allow for more voices in drafting basic law for more autonomy, and support for community rebuilding efforts to strengthen local capability are all non-defence initiatives designed to combat militant extremism. Since the siege, many, ongoing assistance programs have been offered by private individuals, corporations and government agencies to the victims and families of the soldiers. All soldiers involved in the battle have been given post-trauma assistance and war-related stress debriefings. 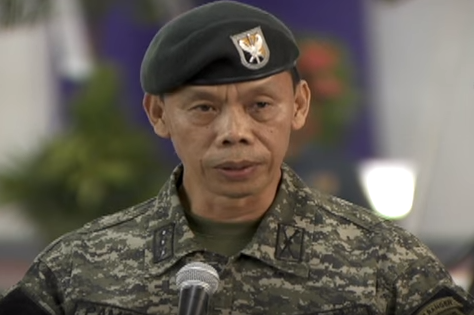 Lieutenant General Danilo Pamonag was the ground commander in Marawi during the Marawi siege. Nicole Forrest Green is a director of the Australia–Philippines Business Council and Defence Committee chair. Image courtesy of Rappeler via YouTube.